I have to admit that this rarely happens to me. My first three novels, the ones featuring Cassandra James in Cambridge, were published only in hardback with shortish print runs (they are now all available as e-books, I hasten to add) and it’s mostly paperbacks in charity shops. The last one, Invisible, was available as a paperback, but only print on demand, so I was very interested to see a copy in a local charity shop. I wondered if it was one that I’d signed. It was. How did I feel about seeing it there? Well, I was glad to see that it had clearly been read, probably more than once or by more than one person, judging by its condition, and it was good to see it out in the world, looking for a new reader. And after all someone might buy it and read it and like it and seek out something else I’ve written. That of course is the only way I’d make any money out of it. I often see half a dozen books by the same writer and I wonder how they feel. Even a tiny royalty on every book sold in a charity shop or a second hand book shop would make a big difference to a lot of writers, though I can’t ever see it happening. I suspect too that cheap books mean that people aren’t using libraries so much, where writers do at least get PLR. And then there is a danger with cheap (or even free) books, that they won’t be valued as much as they should be. I’d love to know how other writers feel. And this reminds that my book-buying moratorium has – for now at any rate – changed my book-buying habits. It’s nearly a month since it ended, but I have been sparing in what I buy, am tending to buy new rather than second-hand, am getting more out of the library, and am still concentrating on my TBR pile. This blog is mainly about other people’s books, but when momentous happens in my writing life, well, it’s only human to want to mention it. 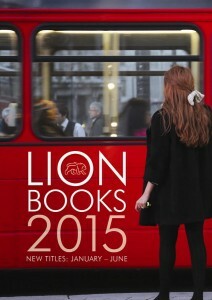 I’m thrilled to be able to say that I have just signed a contract for a two-book deal with Lion Hudson. They’re bringing out my new crime novel in October in the UK, and in January 2017 in the US. It is the first in a series set in Ely and Cambridge, featuring patent lawyer, Daniel Marchmont, and scientist, Katie Flanagan. More about that later. Meanwhile I’m hard at work on the next, scheduled to be out in 2017. I couldn’t be happier in my new publishing home. 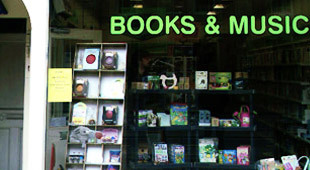 More blog fun for me and Moira over at Clothesinbooks.com. This time we decided that I would pick a book for us both to read and that, without consulting, we would each blog about it on the same day and link our posts. Moira will chose next time. My choice is Elizabeth Jenkins’ 1954 novel, THE TORTOISE AND THE HARE. I picked it because it is a novel I hugely admire and I long to know what Moira thinks of it. I must have first read it about thirty years ago and I have reread it many times since. The story is told mainly from the point of view of Imogen Gresham, who, when the novel opens, seems to live a charmed life with her high-powered barrister husband, Evelyn, and her son, Gavin, in a beautiful Regency house in Berkshire. We see her examining a piece of pottery in an antique shop, attracted its colour: her husband points out that it is chipped. ‘It would come apart in no time.’ And even in this first chapter, we begin to see what Imogen is scarcely aware of: the chip in her marriage as she fails to perceive the nature of growing friendship between Evelyn and their neighbour, Blance Silcox. Surely this stout, plain, dowdy spinster of fifty can pose no threat to Imogen, still in her thirties, elegant, lovely? I think this novel is almost perfect, though rereading it a year or two ago, I felt that there was a flaw that I hadn’t noticed before in her treatment of a couple who arrive in the village, bringing with them all kind of progressive fads to do with ‘improving’ village life, while at the same time their own children are neglected. Jenkins’s viewpoint was instinctly conservative and these characters are so sharply satirized that I feel it slightly unbalances the novel. Still this was her masterpiece, so perceptive and subtle in its understanding of men and women, as gripping in its way as a thriller. I do, by the way, sometimes despair of what publishers deem to be a suitable book-cover. The one that comes up first on Amazon makes the book look like a piece of chic-lit, which it emphatically is not. The one I’ve used here is from my old Virago paperback, which has stood up to repeated reading surprisingly well. 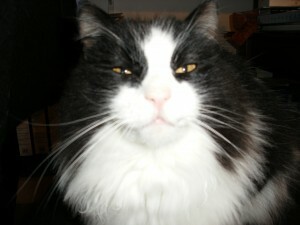 It was nearly eighteen years ago at the end of January 1998 when a small, long-haired cat turned up at our back door. He was cold and hungry and desperate. We already had two cats. My husband said, ‘if you let that cat in, he’ll be here for good.’ And he was. He wasn’t small for long, but grew into a large handsome cat. A lot has happened in those eighteen years. Our older children were teenagers when he showed up. They are now in their mid-thirties. He was there when we brought our younger daughter home. He slept on my bed when I was recovering from an unpleasant operation and was waiting to hear if a worse one was in store (it wasn’t, thank God). He sat on my knee and I dripped tears on him when I was grieving after my mother’s death. He slept in my study while I wrote. I even used him in my novels: he was Cassandra’s cat, Bill Bailey, in my Cassandra James series. He was pretty much a one-woman cat, and I was the woman. Billy died yesterday and we have buried him in the garden where he loved to roam. The photograph is of Billy nine or ten years ago, when he was in his glorious, fluffy prime. R.I.P. Billy. You are sorely missed.